This is a fun activity to get students engaged in evaluating and comparing expressions. 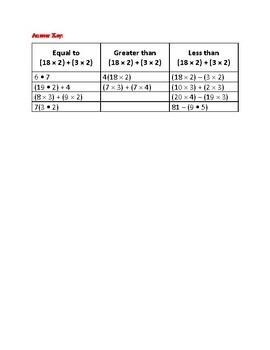 Have students use this as an independent activity, a center activity, or partners to get the math conversation flowing! I've included an Answer Key so this can be a self-checking activity. 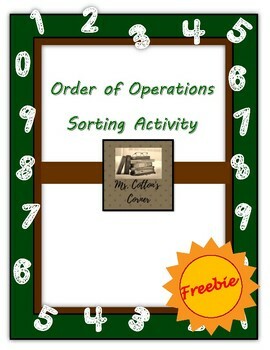 Check out some of my other free Math resources like this Multiplication Masters Certificate. Thank you for your feedback and ratings. 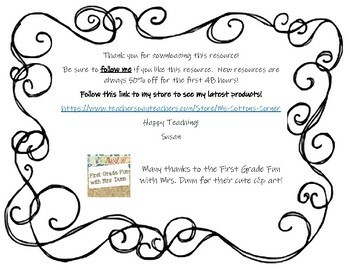 I read every one, and they help me create and refine products, and help other teachers know more about this resource. Win win! Please follow me. All resources are 50% off for the first 48 hours, and TPT will let you know about my newest uploads.